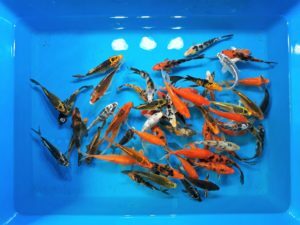 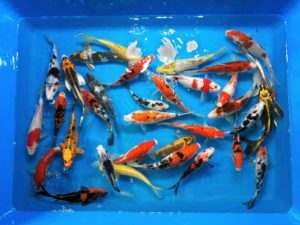 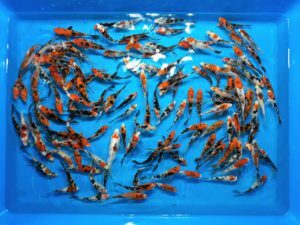 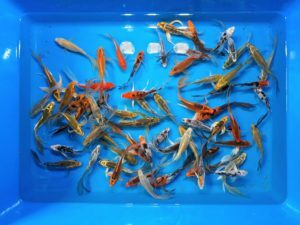 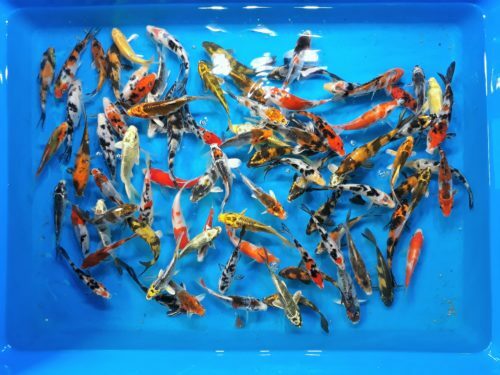 Our premium quality koi are of a high grade. 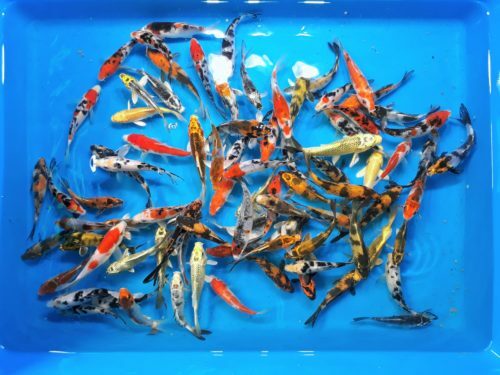 These fish have recognizable colors and patterns that allow easy identification of variety. 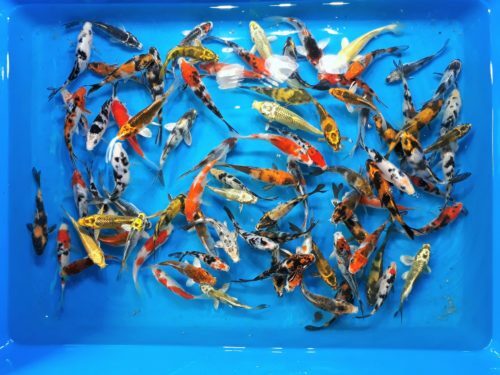 Bekko, Matsuba, Chagoi, Soragoi, Karasu (crow), and many, many Gin Rin varieties.